Late last year, a large trans-national insurance company, Anbang, announced its intention to purchase a majority interest in Retirement Concepts, a Canadian for-profit nursing home chain. 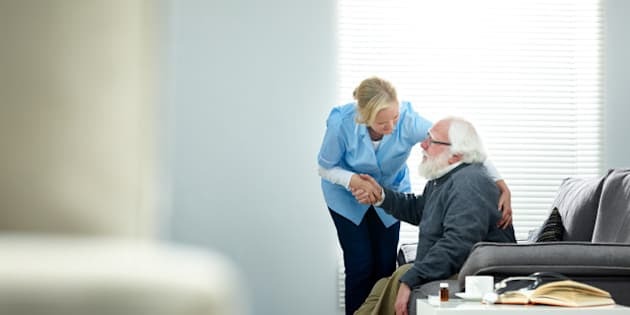 Retirement Concepts currently receives funding from a number of provincial governments to provide nursing home care, and is the highest billing provider of assisted-living and residential care services in British Columbia. The sale was approved by the federal government in mid-February -- and it is concerning for a number of reasons. Firstly, the transaction appears to be part of a trend for private investment companies to purchase properties that generate profits by leasing the property back to a second private for-profit operator. In this case, the likely scenario may be that Anbang will lease the property back to Retirement Concepts, the previous private for-profit owner, who will continue to provide the services. Research shows that the typical business model for such arrangements is associated with offering a high return on capital and maximizing cash extraction. The property assets owned by the private equity firm are separated from the daily operations of providing resident care. The former builds-in high shareholder returns through a number of strategies including requiring the daily operating business to pay burdensome debt and rent payments. Some companies have gone bankrupt as a result, leaving residents and families in the lurch - and obscure relationships among multiple companies can make it very difficult to pin down responsibility when things go wrong. In the UK, such a lease arrangement became so costly that when the government refused a request from the operator to help pay for these increasing costs, the Southern Cross chain of 750 publicly-funded for-profit-owned homes declared bankruptcy. This left residents and families with great uncertainty and governments facing public scandal. Allowing the growth of a private equity service delivery model in Canada will undermine the federal government's stated priority of building a high-quality sustainable system of community-based care for seniors. Secondly, under these large corporate structures it is often difficult to identifythe entity ultimately responsible for the care of this vulnerable population. If patients and families have complaints or governments have quality concerns, the lines of accountability in such large corporate structures are often poorly defined. Thirdly, the size and complex corporate structure of these large corporations make it extremely difficult to enforce financial accountability and reporting on how public resources are spent. It is also difficult to create and enforce regulations that require facilities to spend a defined amount of public funds on staffing or to limit spending on administration. Fourth, once large companies own nursing home property, governments become increasingly dependent on these chains for services and are less able to terminate contracts, remove residents from poorly performing facilities, ensure standards are maintained or control the costs of care. Fifth, when such ownership is transnational in nature, the introduction of government regulations requiring facilities to spend a defined amount of public funds on staffing or to limit spending on administration may be contested under international trade agreements. Finally, there is a substantial amount of research demonstrating that the quality of care contracted by governments to private for-profit owned nursing home is inferior when compared to care delivered in public and non-profit owned facilities. This is more often the case with large for-profit owned chains where there is even greater pressure to deliver a return on investment. The pressure to make a profit often leads to cost-cutting measures such as reduced staffing that undermines the quality of seniors' care. The ten largest publicly-funded private for profit nursing home chains in the U.S. have been found to have lower nurse staffing hours for example, compared to government facilities. Publicly-funded private for-profit chain facilities in Ontario have also been found to provide fewer hours of care. The evidence is clear: Large-scale private equity investments in nursing home facilities too often jeopardize the quality of care and put seniors' health at risk. Navdeep Bains, Minister of Innovation, Science and Economic Development and Jane Phillpott, Minister of Health should commission a panel on how governments can address the challenges of privatization and marketization of nursing home chains across the country. Our seniors deserve no less.